Welcome to my temporary website! I am an Assistant Professor at Carthage College, in Kenosha, Wisconsin. This will serve as a place-holder and news feed while I set up a more comprehensive website. 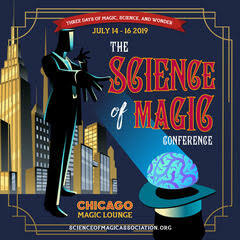 ​ July 2019: I am pleased to announce that I am conference chair for the 2019 meeting of the Science of Magic Association, to be held at the Chicago Magic Lounge July 14-16, 2019. More details are available at https://scienceofmagicassoc.org/​! April 2019: The MAGI Lab will be well represented at the annual meeting of the Midwestern Psychological Association. Students in my lab will present three posters in the Psi Chi sessions, and I will be speaking in and moderating the Cognitive & Visual Attention session on Thursday morning at 11:15am. February 2019: Four of my colleagues and I spoke at the Midwest Institute for Students and Teachers of Psychology (MISTOP) on the benefits and challenges of team-teaching Introductory Psychology. We have made all of our materials available here for those who are interested in improving their introductory courses through a team-based design. January 2019: At the National Institute on the Teaching of Psychology (NITOP), I provided educators with a magical tool they could use to encourage critical thinking in the classroom. All of the materials from my "Demo Demo" are available for download here. November 2018: I presented some of my new work on the use of symmetrical action as a technique of deception in magic at the annual meeting of the Psychonomic Society in New Orleans. The poster and handout for that presentation are available for download here. February 2018: At this year's Midwest Institute for Students and Teachers of Psychology (MISTOP) at the College of DuPage, I led a session devoted to using magic in the classroom to enhance critical thinking. I have made all content from that presentation available for educators at http://tinyurl.com/MISTOP-magic. January 2018: An interview with me appeared in The Linking Ring magazine, journal of the International Brotherhood of Magicians. You can read the piece here. October 2017: I appeared on the WGTD Morning Show with Gregory Berg to promote the 3rd annual Carthage College Celebration of Mind. The interview is available at https://www.wgtd.org/playlist/morning-show/morning-show-100517. August 2017: The Science of Magic Association hosted its second conference at Goldsmith's University of London from August 31-September 1, 2017. More details can be found at http://www.scienceofmagicassoc.org. August 2017: I will be a featured lecturer and performer at the 2017 Midwest Magicians Conclave in Milwaukee, Wisconsin on August 19th. Register now to experience the lighter side of the science of magic! April 2017: The Magic, Attentional Guidance, and Ichnochirography Lab will be well-represented at this year's meeting of the Midwestern Psychological Association. My students will be presenting work on the cognitive consequences of magical expertise, the magical manipulation of temporal attention (a poster that won the Psi Chi Undergraduate Research Award), and the features that drive handwritten word perception. Please drop by their posters and give them a hard time! December 2016: I made an appearance down under on Nicholas J. Johnson's "Scamapalooza" podcast. Nick and I talked about all sorts of things including the relationship between magic and autism. It was both fun and strange. You can download the podcast at http://www.conman.com.au/melbournemagicians/episode-36-brain-magic-with-tony-barnhart. September 2016: I'll be presenting some new, unusual data on face perception at the annual meeting of the Psychonomic Society in Boston on November 18th at 6:00pm. 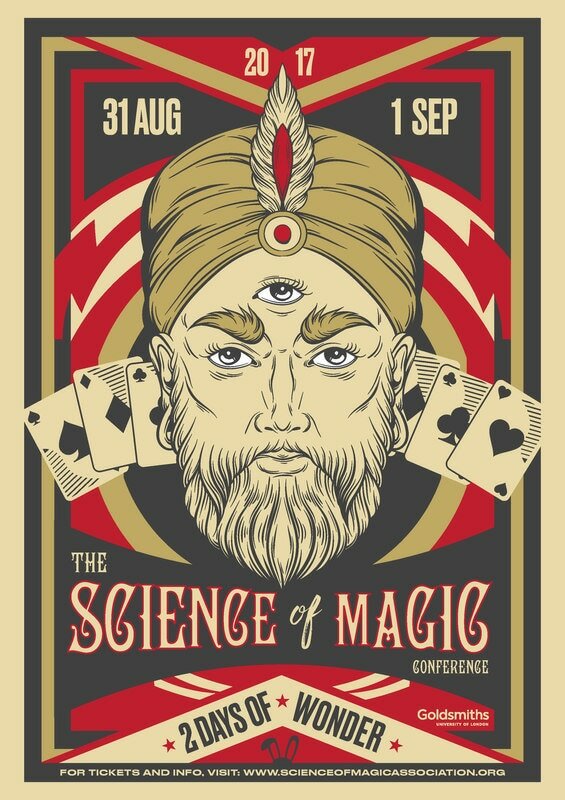 May 2016: The annual meeting of the Vision Sciences Society, in St. Pete Beach, Florida, was chock full o' magic. My contributions included a poster presentation on our work exploring attention and microsaccades (handout here) and a Demo Night presentation on our inattentional blindness paradigm (handout here). January 2016: I'll be presenting a seminar on the psychology of magic at the annual Houdini Club conference in Milwaukee, Wisconsin on September 24th, 2016. You can register for the conference at http://www.houdiniclubofwisconsin.com/. November 2015: I presented some of my newest magic research exploring microsaccades as measures of divided attention at the annual meeting of the Psychonomic Society. The handout for my presentation can be downloaded here. October 2015: I was interviewed for "The Magic Word," a podcast for magicians and magic aficionados. While I do use some magic lingo, it should be an accessible primer to my research. You can listen to the podcast by directing your browser to http://themagicwordpodcast.com/scottwellsmagic/260-tony-barnhart.